The initial constitution of 1946 established annual meetings of CGS, which was known at that time as the California Council of Geography Teachers. The first meeting was held on Saturday, June 21, 1947, in the San Diego Hotel in conjunction with the APCG meeting. Since the inaugural conference, meetings have been held in almost every corner of the state, in urban settings and in rural settings. The annual spring conference is generally held the last weekend in April or the first weekend in May, and average attendance hovers around 350 geographers and friends. The conferences feature high quality scholarship from student geographers, professors and professional geographers from the public and private sectors in a supportive environment. Fabulous field trips, lead by local geographers and historians are always a highlight, but many conference attendees claim the camaraderie and fellowship makes each year's conference memorable. Check back to see where we've been. 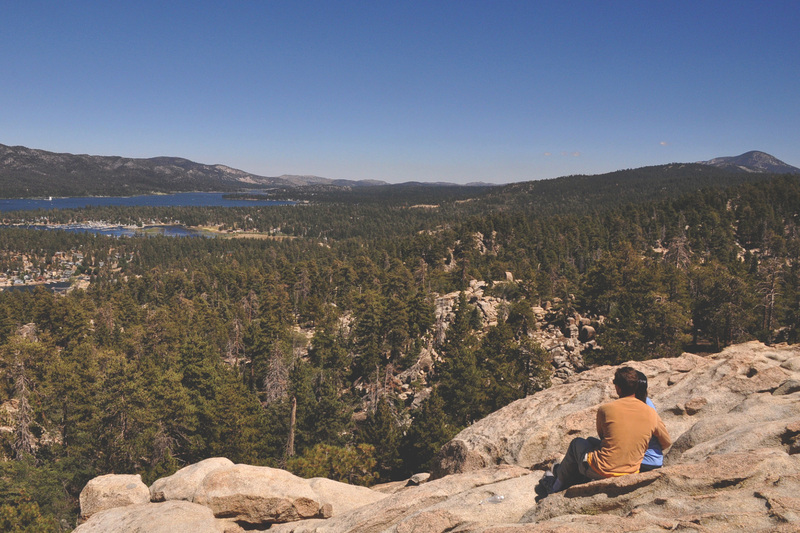 Join with friends from the California Geographical Society in May 2019 in one of Southern California’s most scenic mountain towns, Big Bear Lake! All conference activities will be held The Lodge at Big Bear Lake. If you are flying into Southern California, the closest airport is Ontario (about an hour and a half drive away from Big Bear). Please help get the word out, and get your students and colleagues ready to join us in Big Bear next Spring! If you're interested in presenting a paper, poster, or map at the conference, you must register by Monday, April 1st, 2019. This date is also the deadline to submit the application for the Student Travel Award and the Student Paper, Poster, and Cartography competitions. Please see the call for papers below for details on scholarships and awards. If you're interested in presenting a paper, poster, or map at the conference, you must register by April 1st. It is also the deadline to submit an application for the Student Travel Award and the Student Paper and Poster competitions. When you register, you should already have a title and completed abstract for your paper, poster or map. During the online registration process, you will be asked to copy and paste your title and abstract into a web-form. That tile and abstract will appear in the conference program, which is published a week or two before the conference itself. If you plan to enter a student competition, please follow closely the guidelines established by the various calls for papers, once registration opens. You may compete for prize money and recognition for papers (oral presentations of research) posters, and cartography. Register for the meeting and submit presentations below. please review the call for papers﻿. Walking distance (10 minutes - 0.4 mi) from the conference hotel. 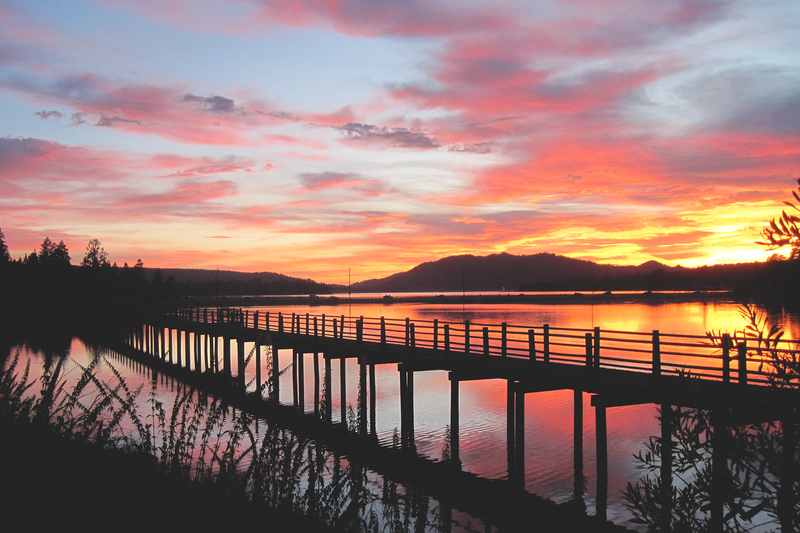 Kick off your weekend with the CGS mingling with fellow geographers on a 1 ½ hour narrated boat tour on Big Bear Lake ending just before the Friday night BBQ! Board the Big Bear Valley's one-of-a-kind tour boat on breathtaking Big Bear Lake for a fully narrated 90 minute guided tour featuring highlights of Big Bear's rich history dating back to 1845. Hear fun facts, folklore, celebrity sightings, and much more! The Miss Liberty paddlewheel boat has a fully shaded upper deck, a fully enclosed and heated main salon, modern restrooms, and small group seating areas. Refreshments are available including light snacks, a variety of beverages such as beer and wine, champagne and sodas can be purchased from the galley. Miss Liberty is handicapped accessible. Meet at the Big Bear Lodge lobby 15 minutes before departure. OFFSETS, SCARPS, AND SAG PONDS, OH MY! A DAY ON THE SAN ANDREAS FAULT. We will follow one of the highly-studied segments of the San Andreas Fault for approximately 50 miles, wending our way from the North American Plate to the Pacific Plate and back again. From the SW face of the San Bernardino Mountains and into the San Gabriel Mountains, we will see evidence of the power of this fault/plate boundary with classic features of right-lateral strike-slip motion. And if that isn’t enough, we’ll stop by the Blackhawk Landslide, one of the largest known in North America. Our return will take us up the NE side of the San Bernardino Mountains, back to Big Bear. 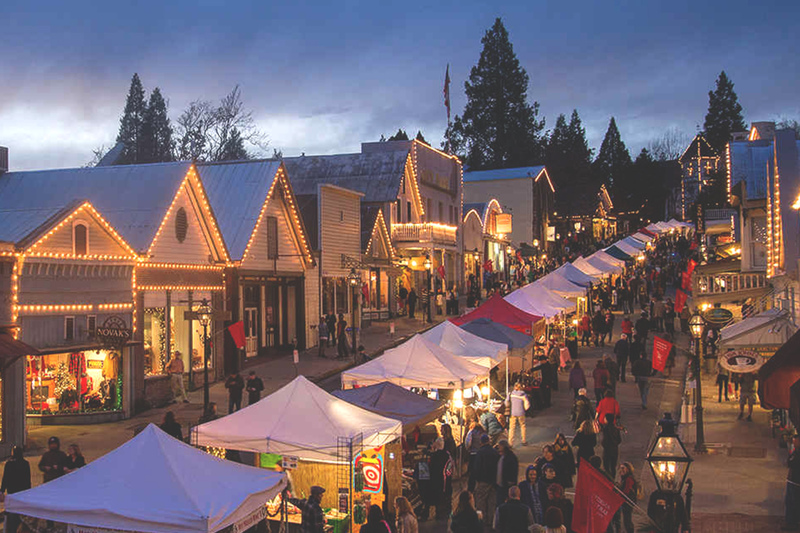 Join Steve Graves on a tour of the fabulous vernacular landscapes of the mountain communities of Big Bear, Running Springs, and Lake Arrowhead. Mostly we’ll drive around and gawk out the window, in the grand tradition of landscape geographers doing field works, but we’ll also make several stops on this half-day van ride through around the mountain top, stopping to enjoy both the faux-Swiss/Alpine gaudiness; and the more nearly authentic domestic varieties of rustic western high country domiciles. We’ll discuss the implications of the age-old attraction/repulsion of European inspiration to our domestic architectural impulses… and for the good boys and girls – a visit to Santa’s Village! This is an extensive 350-mile trip visiting the highlights of the Mojave Desert. The planned itinerary includes the Lucerne Valley, Barstow, ZZYZX, Baker, Kelso Depot visitor’s center, Kelso Dunes, Route 66, Amoby, Sheep Hills, 29 Palms, Joshua Tree visitor’s center and Park, Yucca Valley and back to Big Bear. Stops may be altered due to logistics and weather. Kris Jones has led over 20 field trips to the Mojave desert and is excited to share the highlights of this fascinating region of California! We will be hiking through the San Bernardino National Forest along winding trails with numerous stream crossings. We will explore the highland biogeography that includes numerous pine species, aspens, and cedars, as well as the riparian environment around the south fork of the Santa Ana River. This hike includes great views of Mt. San Gorgonio, Coulter Pines, and Sugarloaf Mountain. Approximate mileage and elevation gain: up to 6 mi, 1500 ft elevation gain Participants be prepared to bring: Comfortable hiking shoes, a backpack, water bottle, snacks, weather, and sun protection. Join CSUF Geography & the Environment Professor’s Trevis Matheus and Bob Voeks on a naturalist hike into the San Bernardino Forest. The field trip will consist of an examination of Southern California’s mountainous tree flora. Dendrochronological (tree-ring) field methods will also be discussed including a demonstration. We will explore the utility of certain species of trees in dendroclimatology for examining the droughts and pluvials of California. Bring a hat, sunglasses, sunscreen, clothes in layers, closed -toed shoes, a camera, and snacks/lunch. Meet at the Big Bear Discovery Center. NATURE JOURNALING: A WORKSHOP IN THE WOODS! Due to the remote location of this year’s conference and significant travel times for attendees, we have opted to only offer one short field trip on Sunday morning. If you are able to linger in the area before heading home, we highly recommend exploring the region on your own! Tips on what to do in Big Bear will be provided in your registration packet at the conference. Hone your observation skills and learn techniques that will help you creatively document the myriad of natural curiosities Big Bear has to offer in this leisurely Saturday morning workshop in the woods. At the Big Bear Discovery Center, we’ll begin by discussing the time-honored tradition of outdoor journaling and why naturalists, scientists, and artists use nature journaling as a tool for cultivating curiosity, documenting observations, and understanding of the world around them. A short demonstration of the tools and techniques employed in nature journaling will be followed by time for you to practice them yourself! All skill levels and ages are welcome - we will provide all the supplies you need to get started. 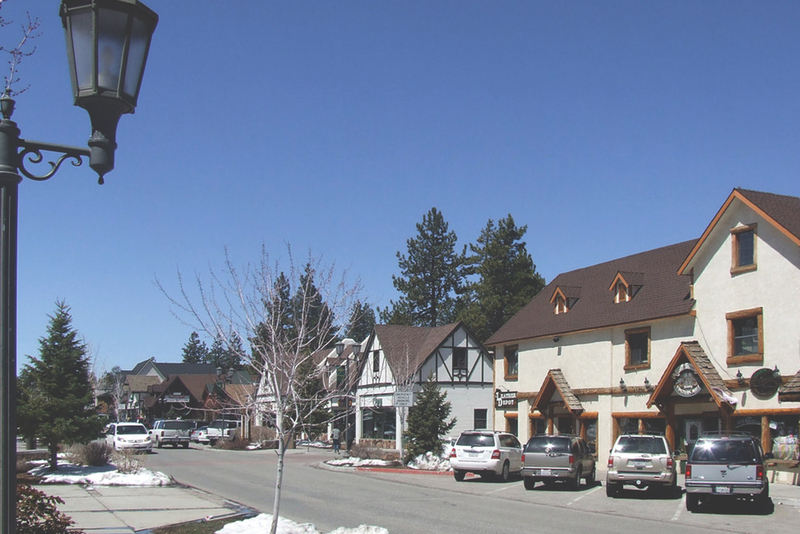 The Lodge at Big Bear Lake (A Holiday Inn Resort), 40650 Village Dr. Big Bear Lake, CA 92315. Visit www.thelodgeatbigbearlake.com for more information. Book a room at the conference hotel via this link for the CGS rate. All conference events, including the Friday night BBQ and awards banquet, will be held at the hotel. Most field trips will depart from the conference hotel. Restaurants, bars, and shops are al walking distance from the conference hotel. Free parking for all conference attendees. Camping and RVs: There are several campgrounds in the San Bernadino National Forest. The Serano campground is on the north side of Big Bear Lake. More information can be found at www.bigbear.com/places-to-stay/camping-rvs. Rent a cabin through Airbnb. There are many other hotels within walking distance of the conference if you do not want to stay at the conference hotel. Regional airport: Ontario International (57 miles from conference hotel). Public Transportation: Mountain Transit provides several bus routes from San Bernadino to Big Bear Lake. On the weekend you can buy a Trolley pass. Visit www.mountaintransit.org for more information. Driving: The drive into Big Bear is beautiful, but is a winding mountain road. Be prepared if you have passengers who get carsick. If you are arriving from Southern California, you will likely take Highway 330. If you are arriving from Northern California you will likely arrive via Highway 18. The elevation is 6,752 feet. Weather conditions in early May can vary with an average high of 68 degrees and a low of 36. Be sure to check the weather before you pack. Please keep in mind that while May is, on average, a more mild month for the Big Bear area, it is not unheard of to get snow at this time of year. All major CGS events (excluding field trips) will be indoor this year.